The EXMO Cryptocurrency Exchange is expanding its list of accessible trading instruments for active traders and announces the addition of the EtherZero (ETZ) coin to its listing. The listing is scheduled for April 2019. EtherZero (ETZ) is a fork of Ethereum that aims to solve the current problems of many blockchain networks as lack of scalability, low speed and high costs for smart-contracts execution and create a fast, affordable, and easy-to-use framework for blockchain startups. 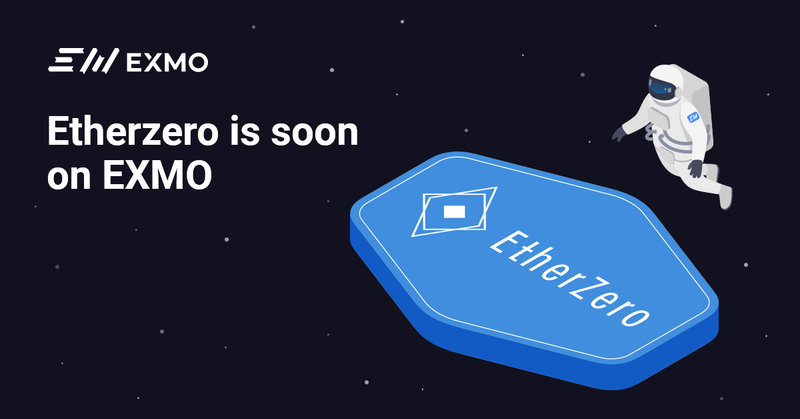 The EtherZero network was launched in January 2018 and underwent a fundamental change in August 2018, and its performance has far exceeded expectations. Thanks to the transfer from PoW to MpoS (Masternodes + Proof-of-Stake), the system processes around 1400+ transactions per second, with an average waiting time of just about a second – as opposed to several minutes on Ethereum. The new consensus protocol also protects the system from most common types of attacks. The framework features its own ready-to-use exchange, stable coin, wallets, e-commerce and OTC space, and much more. Read more about the project on the website.